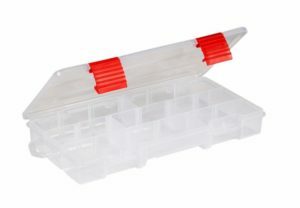 The Plano Rustrictor Stowaway is the first of its kind. Completely infused into the storage boxes, the rust stopping compound resides throughout the entire container. Unlike competitors that use a few molded inserts to fight rust, Rustrictor provides 360 degrees of complete protection against rust for up to five times longer than competitors. 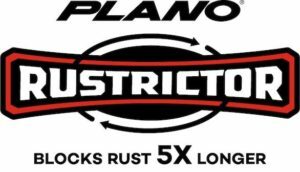 Developed with Armor Protective Packaging, an industry leader in corrosion management since 1979, Plano’s Rustrictor uses the worlds best Vapor Corrosion Inhibitor. Rustrictor begins working the moment the box closes. Once closed, the box fills up the stowaway interior with VCI vapor. VCI ions attract to metals creating a wall of protection that is only a few molecules thick and stops rust before it can start. Rustrictor always protects and never leaves a film, residue or odor on the surface of tackle. Gone are the days of a spray-in solution that lets fish know something’s amiss. 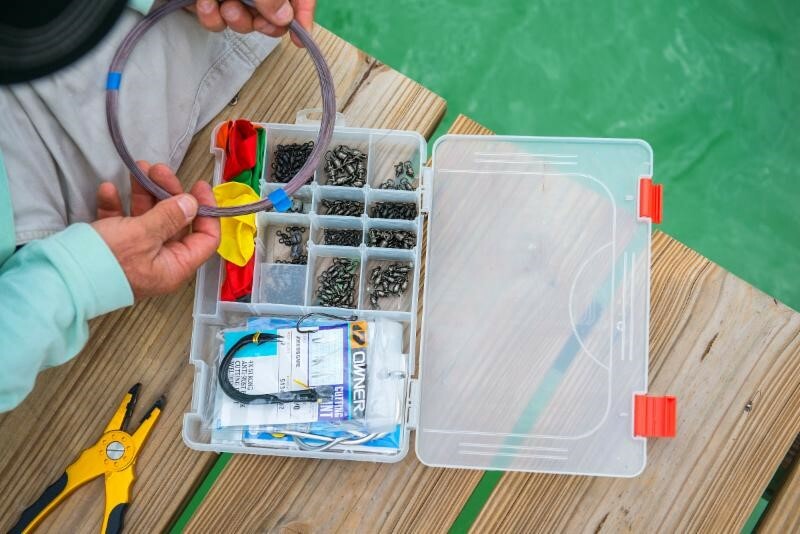 With the protection built right into the Stowaway box there is no maintenance, no worry about having the dividers in place and more wasted money on rusted and damaged tackle.